I have worked with multiple film composers, directors, and artists as orchestrator, arranger, conductor, and music preparation. Spent a few days in the studio as orchestrator and music preparer for various projects with composer Hanan Townshend. 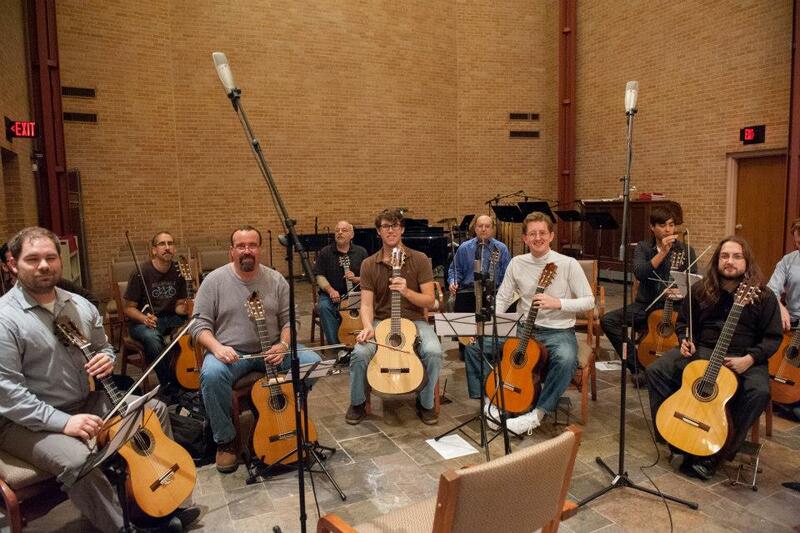 Here is a picture of performers with Austin Classical Guitar recording for the film The Vessel. Here we are recording in Eric Johnson's studio for another project of Hanan's.